All month long, Delta employees have been busy giving back to less fortunate kids in the communities where they live, work and serve. 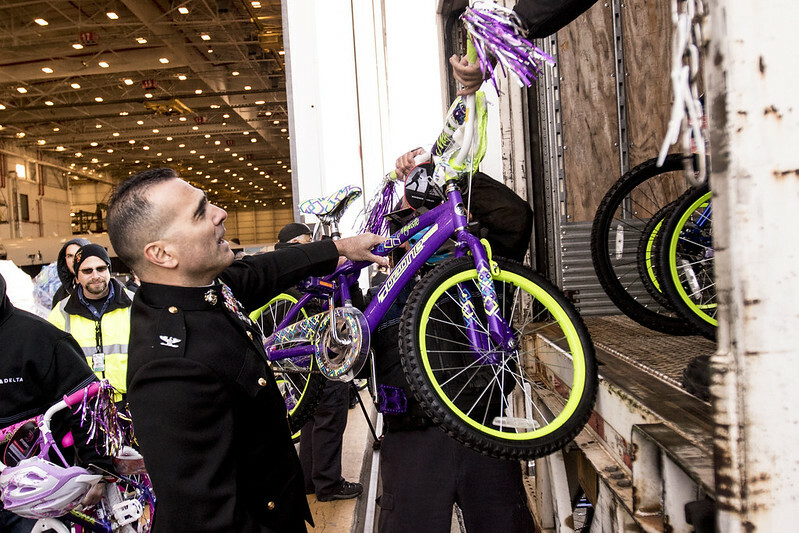 In addition to employee-led toy drives throughout the system, which generated thousands of new toys for kids – including 836 bikes built by TechOps alone – Delta serves as the airline partner of the Marine Toys for Tots program. The initiative is in support of Delta’s commitment to contributing 1 percent back to the communities we live and serve. Delta employees presented checks totaling more than $500K to key cities including – Atlanta, Nashville, Tenn.; Boston, Cincinnati, Detroit, Indianapolis, Los Angeles, Minneapolis-St. Paul, New York, Raleigh, N.C.; Salt Lake City, San Jose, Calif., and Seattle – for the purchase of new toys in each local community. Furthermore, Delta contributed an additional $100,000 to their national literacy program to purchase books for kids. 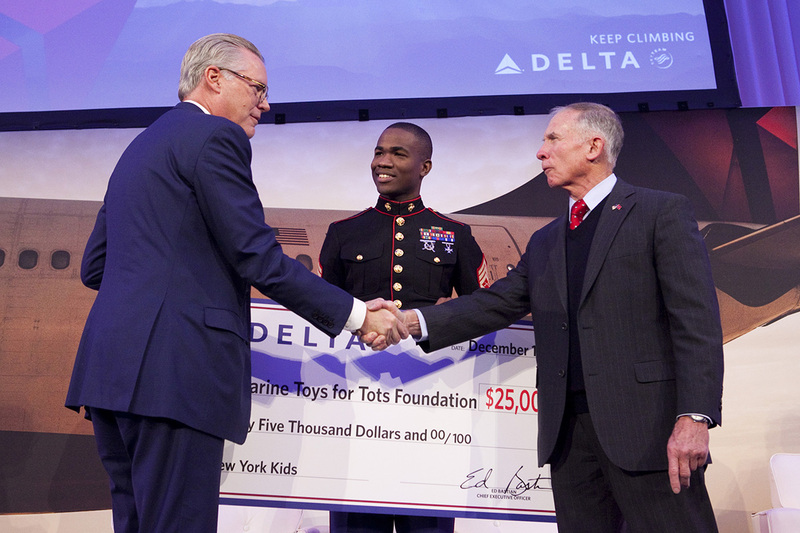 To close out the airline’s annual Investor Day Thursday, Delta presented a $25,000 check to the New York City branch of Toys for Tots, adding to a previous donation of $50,000 in the Big Apple. The mission of the Marine Toys for Tots Program is to collect new, unwrapped toys between October and December each year, and distribute those toys as Christmas gifts to less fortunate children in the communities in which the campaigns are conducted. This fulfills the primary goal of providing a message of hope that will assist them in becoming responsible, productive and patriotic citizens. Delta’s backing of the Marine Toys for Tots program during the holidays supports Community Affairs’ efforts to salute armed service members and veterans pillar, while the airline’s support of the literacy program reinforces its commitment to education.